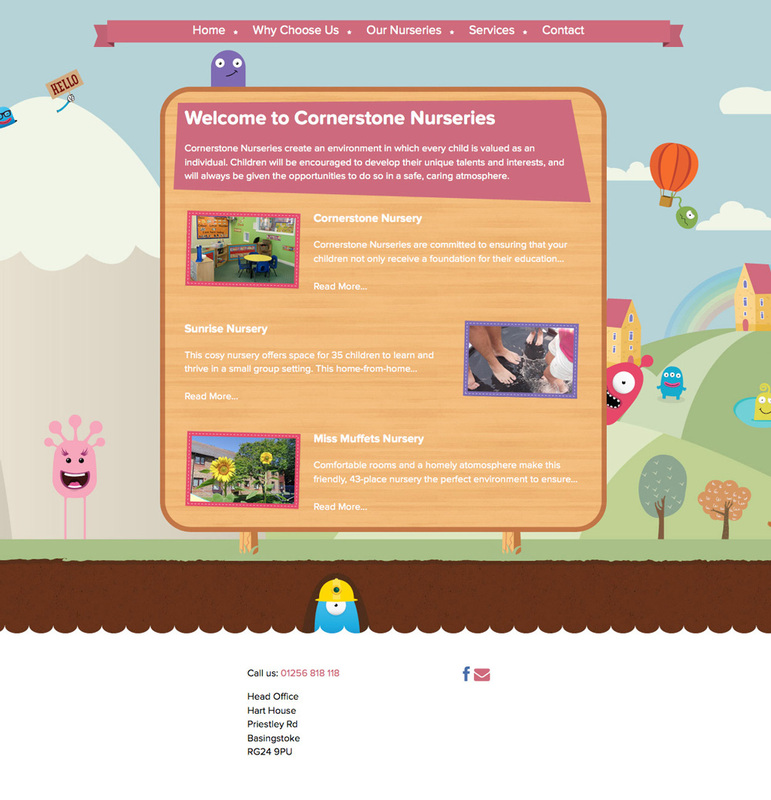 Cornerstone Nurseries have been operating a group of Children’s Nurseries based in the Basingstoke area since 2002. In 2014 they felt it was time to update their brand image. 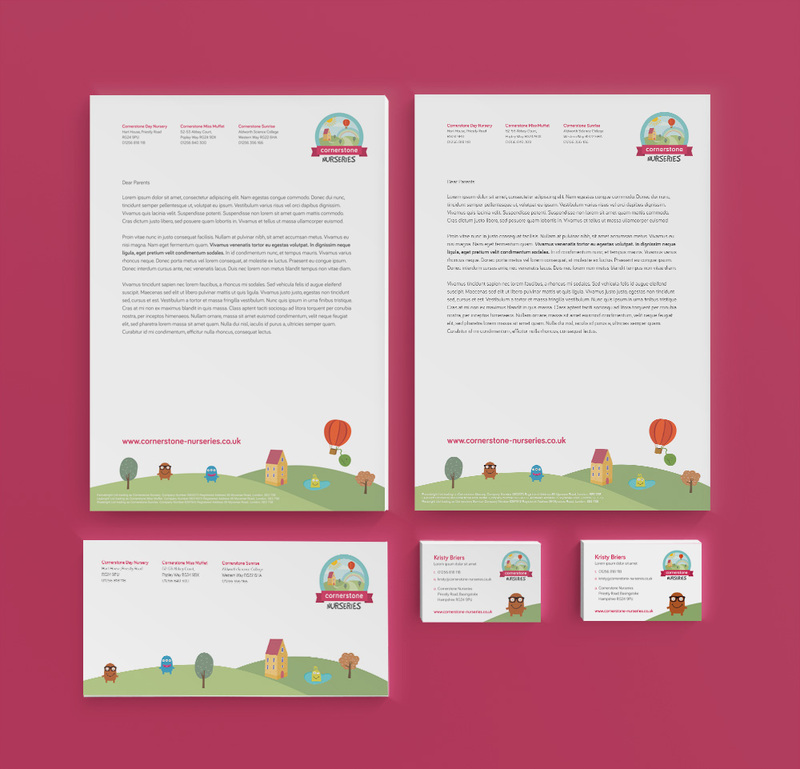 We completely redesigned their logo and stationery set. We also designed and built their website. We continue to work with Cornerstone, updating all their printed material and signage.